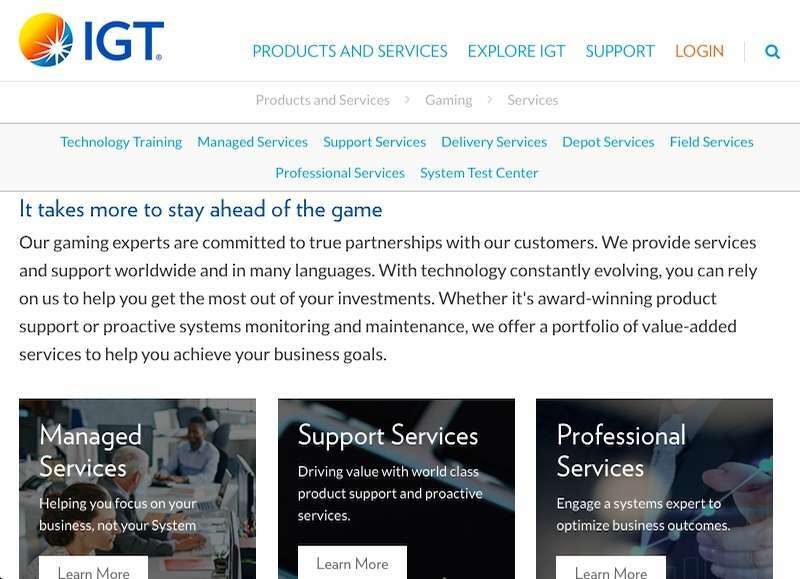 International Game Technology PLC or IGT Interactive software is a multinational gaming software manufacturing company which has an origin back in the 1950s. They have a rich and adventurous history spanning over 40 years. William Si Redd originally founded IGT in 1975. After a few years in 1978, the name was changed to Sircoma and finally to International Game Technology in 1981. The company went public and got listed in the New York stock exchange in January 1991. 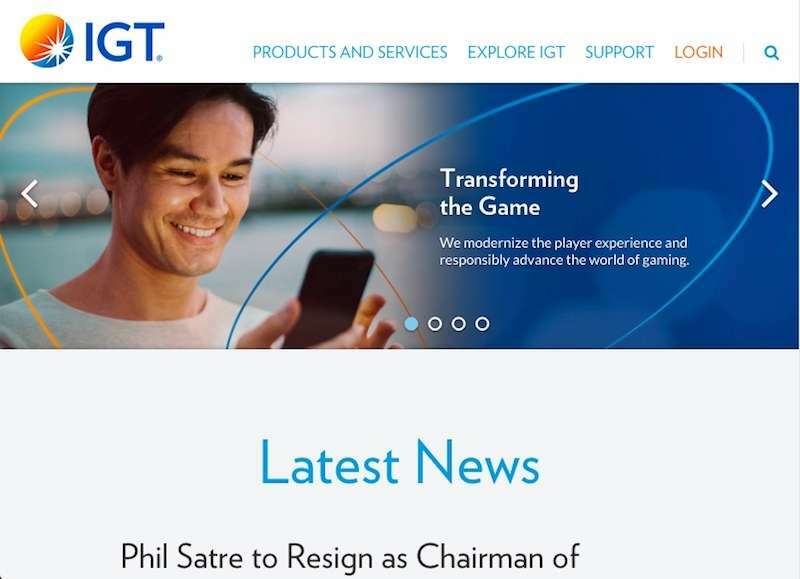 The company has made several mergers and acquisitions enabling them to become the world’s largest end-to-end gaming company among which WagerWorks acquisition in 2005 worth-mention. Finally, in 2014 they were acquired by the UK-based gaming company Gtech for a staggering amount of 6.4 billion dollars. The new combined company decided upon adopting the name of the acquired company. The new company has its headquarter in London, the United Kingdom while its operating office is in Las Vegas, Nevada. Today’s IGT has progressed a lot over last few decades. They have earned a profound reputation for their exceptional contribution to the field of land-based casino games. 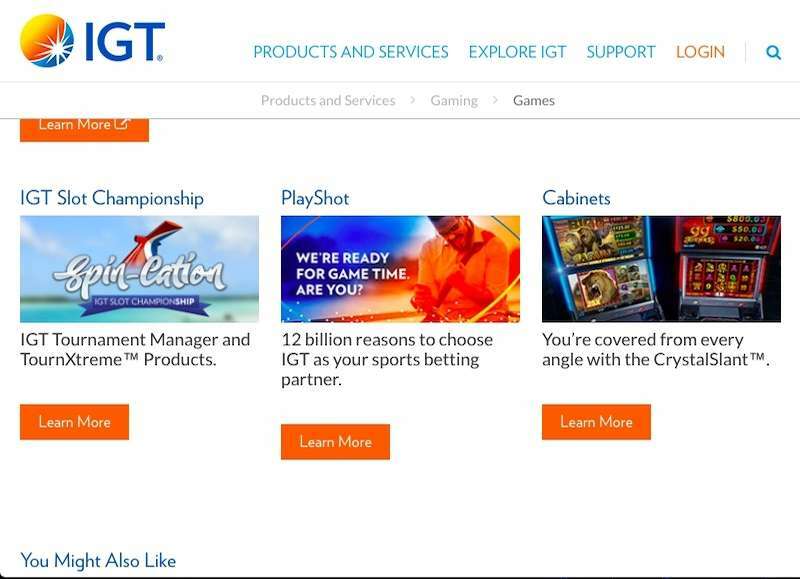 However, with time IGT has gradually succeeded, adopted new technologies and expanded to their customer with extensive online gaming solutions. They may not have a market like the other casinos’ developer like Microgaming or Playtech but they also never intended to dominate it. Their only ambition is to add value to what they are presently offering. Believe it or not, they are doing it well. IGT Interactive is regarded as one of the most trusted and reliable casino software providers we have. They have all the essential licenses from major regulatory bodies around the world like the United Kingdom Gambling Commission, Nevada Gambling Commission and so on. Getting licensed by UKGC is a significant achievement as they have the strictest rules and regulations for the players’ interest and certifies the integrity of the games, random and fair play. IGT Interactive has earned several EGR B2B Awards for offering leading gaming solutions in the market. International Gaming Awards have also recognized their initiatives for mobile technology gaming in 2016. Even they have been honoured by Casino Journal’s Top 20 Most Innovative Gaming Technology Product Awards for their offerings and International Gaming Awards for Casino Equipment Supplier. The fun and versatile IGT games are created by a talented group of professional game developers. Before entering into the online gaming space, they were building exceptional land-based slot machines. For this reason, one may find their land-based games inspire many of their online games. Their entire range exists in an instant play gaming platform which portrays that they have to adopt new technologies in a smart way that has helped them to become a strong competitor in the online market and allow their users to enjoy their production with ease and fun. It got more around hundred slot games that got exciting features, fantastic gameplay, and exceptional graphics. Example: Pixies of the Forest, Wolf Run, Cleopatra, Star Trek and many more. They offer ten variations of the game including both classic and unusual ones. Example: French Roulette, American Roulette, 3 Wheel Roulette, etc. Unlike the previous two variations, the developer didn’t contribute much in blackjack games. They have only one Roulette game – Player’s Suite Blackjack. They also have a few varieties of the card, and video poker variants like Casino Hold’em, Fast Poker, Texas Hold’em, etc. There are 15 different options in Video Poker like Match Times Pay Double Bonus Poker, and Ultimate x 10 Play Draw Poker. All the IGT Interactive Games have something in common – cutting edge graphics, animation and game sound. Though small, it has a good variety of games to keep you sated. Da Vinci Diamonds. It is a classic renaissance-period based slot game offering 20 paylines. Also, there are Trembling Reels and a free spin game where one can get up to 300 turns along with multipliers. Pharaoh’s Fortune. This fun slot has 15 paylines that increase to 20 during the bonus game. One can win up to 25 free turns and up to 6x boosters. Miss White. The fairytale-themed slot offers 1024 unusual ways of winning along with features like symbol expansion, transforming symbols, re-triggerable free spins and more. It is a Monopoly-themed game that offers 30 paylines and several bonus features like Mystery Wild, and Monopoly Board Bonus. Some additional bonus features add some extra fun to it. Wheel of Fortune. It is a classic 5-payline slot that has a giant Wheel of Fortune Bonus feature offering huge prizes to players. Siberian Star. It features 720 ways of winning and extensive scopes to win big. There are stacked symbols, multipliers and free spins (one can get up to 96 free turns) that make the game very exciting. Apart from all these, there are several IGT slot games like Texas Tea, Cleopatra, Coyote Moon, Black Widow, Stinkin’ Rich that add to its fame. Given a chance you should give them a try. One can review and play them in free version before wagering with real money. IGT-designed games need no software download – they are built using Flash format which facilitates instant play and mobile gaming. One can enjoy them directly on the internet browser on an entire range of devices like desktops, laptops, mobiles. They are even compatible with all the major operating systems like Blackberry, Apple, Windows, etc. Every game includes the RTP or Payout percentage which add to the transparency and fairness. Moreover, the RTP of the free and real money games are the same. The very next important question that has appeared in your mind by now must be where can you find these exciting games. Many top-rated online casinos run on IGT software and offer great bonuses and fast payout, but we have a handful of them which we find are the best. The list can go on like this, but the platforms mentioned above are the ones that have a good reputation, bonus offers of their own besides having licenses for IGT games. Sadly, these games are no available for the US players. IGT Interactive may not be as big as Microgaming in the volume of games, but they have a strong portfolio with beautiful and exciting variety. Furthermore, they practice excellence in their game quality and offerings. Moreover, slots like Siberian Storm offer progressive jackpots. One thing is for sure: IGT Interactive is one of the best casino software provider we have, and they are going to be around a very long time and help us enjoy gambling a lot!